One of the advantages of Divi is the impressive numbers of child themes available by third-party developers. Many developers even provide free child themes that are great for just about any website. In this article we’ll take a look at 10 free child themes for Divi. They’re in no particular order. Are you a Divi developer or designer? At Divi Cake we love supporting the Divi community, so if you have Divi child themes you’d like us to highlight in a future post, leave a description and link in the comments below! Amped is one-page all-purpose design from LoveDivi. It includes lots of full-width backgrounds in parallax with styled title text in the overlays. Other sections show a call to action, a photo gallery with link to see more, styled person modules, and a section for partner logos that links to the footer. A contact form is also placed over an image in parallax. It’s an excellent choice for any website to show products or services. Divi Business is a completely free multipurpose Divi child theme. It is business focused with a modern and professional design. Divi Business features 6 custom pages, each designed to perfection. With the power of Divi you can easily move around any section or module to any other page. 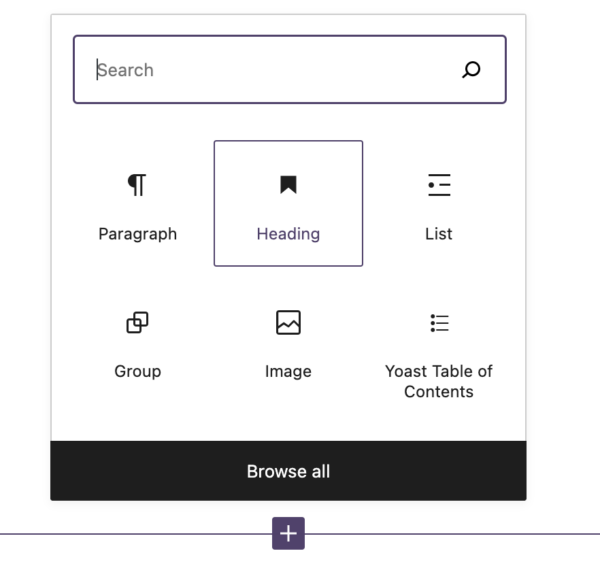 Also included are features such as blurbs with unique hover effects, a team section with a custom overlay, custom designed testimonial slider, Instagram gallery integration, and more. Landing is a multi-purpose one-page child theme from Best Divi Child. It places a title, description, and two buttons over a full-screen background image. Scrolling reveals an interesting CTA with a slider on one side and text on the other. The text includes three titles that reveal the text for that title. It uses interesting dividers as highlights throughout the design. It also features a project section, number counters, bar counters to show skills with an embedded video, blurbs with hover animation, an awesome projects section, team members, and lots more. The blog section includes some cool hover animations. It’s an excellent choice for any creative team. Forty is a multi-layout child theme from HTML5 UP. The home page uses a full-width image with CTA in an overlay. The images are displayed in 1/3+2/3 and 2/3+1/3 alternating layouts that look elegant. It uses my personal favorite method of hover animation – the images are under colored overlays and are revealed on hover. The landing page uses a similar design with alternating text and CTA’s. The contact section uses a two-column design with contact and social icons. It’s a great choice for corporations and agencies. Picture is a one-page photography theme from Candy Themes. It displays a full-width slider in parallax. A two-column about section displays an image on one side and text on the other. The photography portfolio is presented as an image gallery. Counters are used to display stats of happy customers. Testimonials have an elegant look with text and image over a background image in parallax with a dark overlay. It also includes a blog section, contact form, and contact info with icons. It would be a great choice for a portfolio, blog, or freelancer website. Altidude is a one-page all-purpose design from LoveDivi. It includes lots of single-column backgrounds with two-column alternating overlays and some of my favorite colors to create lots of design attitude and stirup visuals of the rugged outdoors. Large areas of text that is just visible overlaps the columns. It even includes overlapping images. It’s a great choice for any website about the great outdoors. Divi Resume is a one-page personal portfolio child theme from Ultimate Divi Builder Addons for creatives and freelancers to show their resume. It includes particle animation to make the full-screen header stand apart from the competition. It uses a minimal design with just enough texture to separate the sections. A two-column section shows an image with text. Services are displayed with text and large icons. Samples of work are shown within an animated grid. Potential clients can discuss their projects through a CTA and a contact form. The minimal design still finds a way to stand out. Julio is a multi-purpose child theme from Global Mente. It includes lots of pages. The home pages has a full-width slider, blurbs, a full-width project section, and a CTA. It has lots of styled modules including pricing tables, toggles, blurbs, tabs, counters, person modules, and more. The design is perfect for creative agencies and freelancers. Kriar Creative is a 4-page all-purpose layout from Divi Theme Store for creative businesses and freelancers. The home page uses a clean design with a full-width header and CTA, an about section with button so visitors can learn more, services displayed with large icons over a background in parallax, and a contact section with map and info. Each of the pages follow the same styling, continuing the professional look and green branding. Vintage Idea from Sunflower Child Themes was designed for growing a business. It includes four pages and an elegant color scheme that continues throughout the backgrounds and icons. A call to action button in the menu draws attention where you want it. A styled subscription box and contact form add to the elegance. It’s a great choice for corporations and agencies. If you’re looking for an easy way to get started designing your Divi website, these 10 free child themes will push you in the right direction. They use proven design principles and are suitable for just about any website you can imagine. Check this out! We also have lists of the best free Divi layouts and free Divi plugins. We want to hear from you! Have you tried these free child themes for Divi? Let us know what you think about them in the comments below.